THE senior judge who led the Inquiry into notorious killer Dr Harold Shipman says Department of Health plans for investigating hospital deaths in Northern Ireland would not flag up where “bad practice has been concealed”. 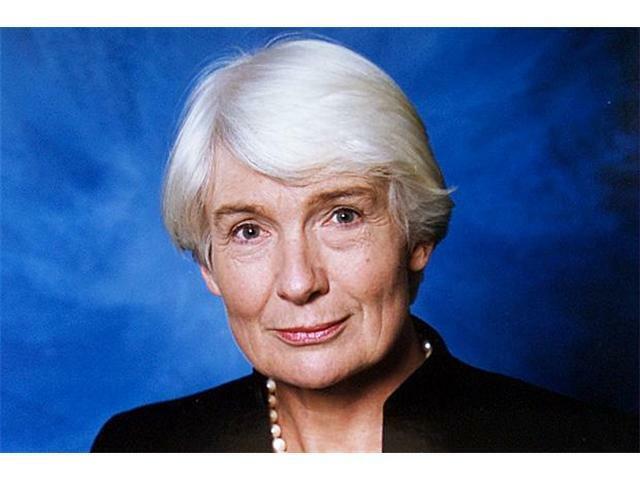 In 2001 Dame Janet Smith was appointed by the government to chair one of the most high profile public inquiries in UK history. The Shipman Inquiry concluded that the GP may have killed as many as 250 patients in England over 23 years. In a rare public comment to The Detail, Dame Janet has expressed disappointment about the UK government’s failure to implement her recommendations to radically reform how deaths are investigated. Her comments come as Northern Ireland’s Attorney General, John Larkin QC, is seeking new powers to compel hospitals here to disclose documents to his office amidst concerns that controversial deaths are falling between the cracks. Dame Janet has also spoken in favour of the Attorney General’s proposals but stressed that Northern Ireland should ultimately aim to go further. She said: "The NI Attorney General presently proposes that he should be empowered to call for medical records as an aid to his decision as to whether to direct that an inquest should be convened. This seems to me to be a sensible and modest proposal. In Northern Ireland the Attorney General can direct the coroner to hold an inquest into deaths where he considers it “advisable to do so”. As previously reported by The Detail Mr Larkin believes he lacks the necessary powers to “obtain papers or information that may be relevant to the exercise of that power”. The Department of Health here has been arguing that the current system is “sufficiently robust”. However The Detail has seen documentation which outlines that it is considering introducing a “Medical Reviewer” to undertake a 10% sampling process of all hospital deaths not already being reported to the coroner. Commenting on the department’s plans Dame Janet Smith said this system was unlikely to show up individual cases where “bad practice has been concealed” and described internal hospital investigations such as Serious Adverse Incident investigations as “not satisfactory”. 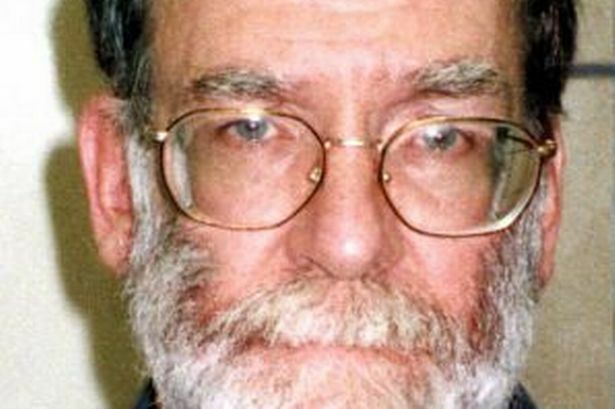 In January 2000 Dr Harold Shipman was handed 15 life sentences for murders committed by administering fatal doses of diamorphine to his patients. Four years later Shipman was found hanging in his cell in Wakefield Prison. The Shipman Inquiry, led by Dame Janet Smith, completed six reports on the doctor’s crimes. One report looked at the death certification and coroners’ functions in England and Wales and recommended radical reform of both systems. At the same time as the Shipman report the UK government also commissioned an independent review of the coronial and death certification systems in England, Wales and Northern Ireland chaired by Mr Tom Luce, which was published in 2003. The Luce Review’s findings were very similar to the conclusions of the Shipman Inquiry and advocated a major change in the death certification system, whereby every Medical Certificate of Cause of Death (MCCD) should be vetted by a medical assessor. Dame Janet Smith said that while she hoped the Shipman case would never be repeated she underlined the need for a robust system for recording hospital deaths. She said: “Proper certification assists in the detection not only of crime but also of medical errors and incompetence. Shipman was able to ‘get away with’ killing his patients for so long without detection because he was able to sign certificates giving a false cause of death without referring any deaths to the coroner and without any questions being asked. “When I suggested that all death certificates should be scrutinised by an independent person, there were some who thought that this was an unnecessarily complex and expensive measure. There would never be another Shipman; the measure was disproportionate – a sledge-hammer to crack a nut. Despite being over a decade old, the findings of the Shipman Inquiry have not yet been fully implemented. The previous Labour Government legislated for new independent scrutiny by a medical examiner of all deaths that are not referred to a coroner. While it has been piloted in some parts of England the recommendation has not been rolled out universally. In recent weeks Dame Janet Smith’s recommendations have been highlighted once again following the publication of an inquiry into the death of a number of babies at hospitals in England. The investigation into the University Hospitals of Morecambe Bay NHS Trust found 20 major failures from 2004 to 2013 at Furness General Hospital. The report’s author Dr Bill Kirkup, a former senior Department of Health official, made reference to Dame Janet Smith’s proposals. He said: “It is our view that implementing these proposals should be reactivated as the best means to provide the necessary scrutiny, not just of maternity-related deaths, but of all deaths. Responding to the findings Health Secretary Jeremy Hunt told members of parliament that the government supported the policy of an independent medical examiner system as recommended by Dame Janet Smith and was committed to introducing the system “as soon as possible”. Dame Janet’s recommendations from 2004 have been echoed in a number of healthcare reports in recent years including an investigation into two Mid Staffordshire hospitals which found that hundreds of patients died needlessly as a result of substandard care between January 2005 and March 2009. Speaking to The Detail Dame Janet Smith said that while some modest steps have been made, including the appointment of a Chief Coroner for England and Wales, she said “no real progress” had been made to ensure death certificates are adequately scrutinised. She said: “I am disappointed that the government has not made greater progress towards the reform of death certification and coroners’ services in the light of the recommendations of the Luce Review and the Shipman Inquiry. Dame Janet Smith acknowledged that there would be implementation costs and some running costs but said that these would be modest compared with the benefits. “NO SUBSTITUTEFORTHESCRUTINY OF ALL DEATHS"
Debate around hospital deaths throughout the UK comes as Northern Ireland’s Attorney General is seeking new powers to compel health trusts to disclose documents on controversial hospital deaths. In a separate article published today by The Detail John Larkin QC has outlined why he believes such powers are necessary for his office. Meanwhile health officials have also outlined a number of initiatives they have undertaken to ensure the current system is “sufficiently robust”. This includes the introduction of an independent Medical Reviewer that is currently being considered by the Department of Health here. In a series of letters sent to Stormont’s Justice Committee in January and February of this year Health Minister, Jim Wells, outlined plans for a number of initiatives to provide greater scrutiny around deaths in hospitals. However instead of all death certificates being scrutinised, as recommended by the Shipman Inquiry, the Medical Reviewer system being proposed in Northern Ireland would involve the random selection of approximately 10% of non-reportable deaths. Similar arrangements are due to be introduced in Scotland in May this year, but proposals here would be subject to full Northern Ireland Executive approval before being fully implemented. However speaking to The Detail, Dame Janet Smith said the Department’s proposals did not go far enough. “I understand that there is a proposal in Northern Ireland to introduce a system of 10% sampling of death certificates. In my view, this proposal will produce very little by way of benefit. I can see that it would serve to discover whether death certification is being properly carried out. But previous research has shown that the quality of certification is poor with many errors being made. “But sampling 10% will probably not show up the individual cases where bad practice has been concealed. Also, sampling will not provide the reliable statistical basis which is needed for resource decisions." However Dame Janet stressed that even this proposal was “no substitute” for the scrutiny of all death certificates which was recommended by both the Luce Review and the Shipman Inquiry. Click here to read part two of a special series of articles published by The Detail today.We speak to a bereaved family who say they have been left “frustrated and disillusioned” by flaws in the system for investigating hospital deaths here. "My family feel let down"